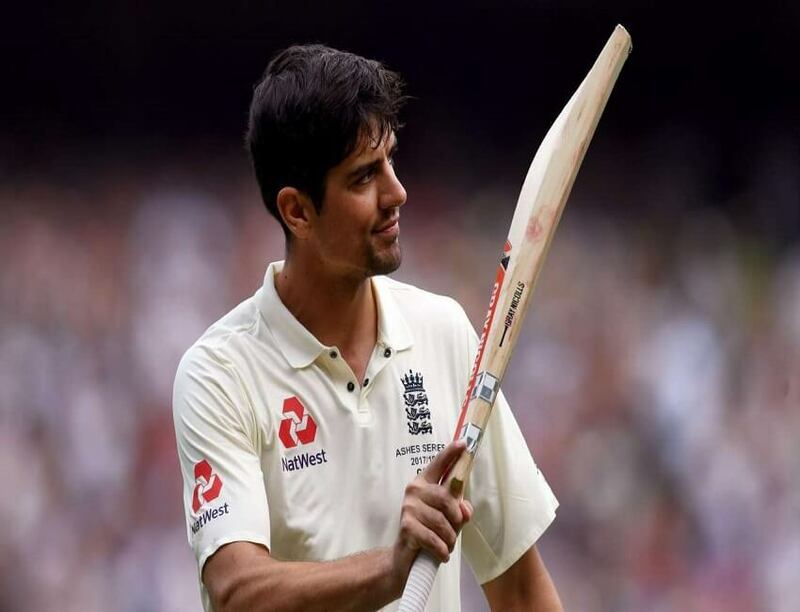 Former England captain and world-class test batsman Alastair Cook, who is known for his test cricket batting style will retire from international cricket after the last test of the current Test series against India. Cook said he has come to this decision of quitting, “after much thought and deliberation over the last few months,”. Cook will appear in his final test which mark his 161st test for England at The Oval against India set to begin from September 7. Cook has scored 12,254 runs in Test career which includes 32 centuries. Alastair Cook turned into England’s all-time leading Test scorer. He is the only English batsman with over 12,000 runs in test cricket. Cook’s form in test cricket has been a concern for the last couple of months, as he has been struggling to get runs and the pressure and pressure was souring. One of England’s best test batsman, Cook only scored 298 runs from nine Test matches at an inferior average of 18.62. Even in the ongoing 5 match series against India, Cook has managed to get just 96 runs from four Tests, failing to reach 30 even once. At present Cook is placed sixth in the all-time list of Test’s leading run scorers. England took an unbeatable 3-1 lead in their five-match series against India with a 60-run win in the fourth Test at Southampton on Sunday. According to Cook the next test to begin from 7 September at Oval would be his last.